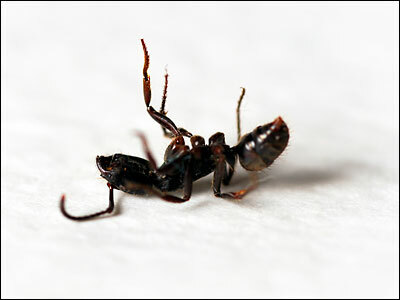 found by Pat How do ants know when another ant is dead? How do ants know when another ant is dead? 'Hey I'm Dead!' The Story Of The Very Lively Ant: "Here's a question — not one that's on everybody's lips, granted — but a question nonetheless: How do ants know when another ant is dead? E.O. Wilson, now the most celebrated, most eminent ant scholar in the world, wanted to know." "How does a gas pump know when my tank is full?"